The Company “Caffè Haiti Roma” was born in Rome in 1950, when Azeglio Martella, “Mister Espresso”, began his long voyage through the world of superior quality coffee. His various blends soon became a point of reference for Rome’s innumerable coffee bars. Ever since it was born, the Company has made a clear decision, i.e. 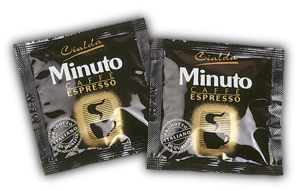 to offer high-quality espresso blends, and to produce the same only for coffee bars. This allowed them to concentrate the resources and commitment to offer the best quality possible in this business segment. Caffè Haiti Roma is among the first coffee-roasting enterprises in Italy to have obtained the triple recognition as “Company with integrated DQS Certification”, which includes Certification of the Quality Management System DIN EN ISO 9001 : 2008, of the Environment Management System EN ISO 14001 : 2004 and of the Management System for Health and Safety at the Workplace OH SAS 18001 : 2007. 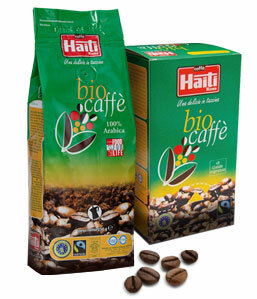 Caffè Haiti Roma has always been committed to exploring the new opportunities offered by technology and scientific research to create and improve the range of products and services. It pays the greatest attention to the requirements and the quality of life of the people, who day after day appreciate the fruits of the job. The continuing efforts towards this achievement have been passed on from one generation to another within Company. - gift sets: biscuit tin box with different designs. Stimolare il comparto caffeicolo attraverso un confronto fra i protagonisti.